Dimple piercing jewelry is experiencing a great popularity recently. 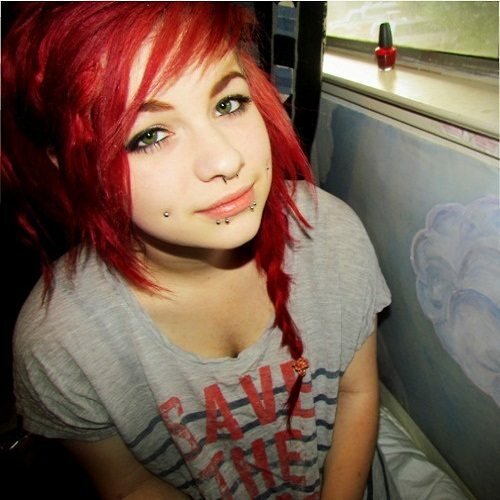 This different kinds of body piercings, they add on facial cheeks. It could either be in the areas around the dimples or on pre-existing dimples. It furthermore enhance the charm of the dimple. A type of symmetrical piercing indicates both the cheeks pierce simultaneously so they complement each other properly. 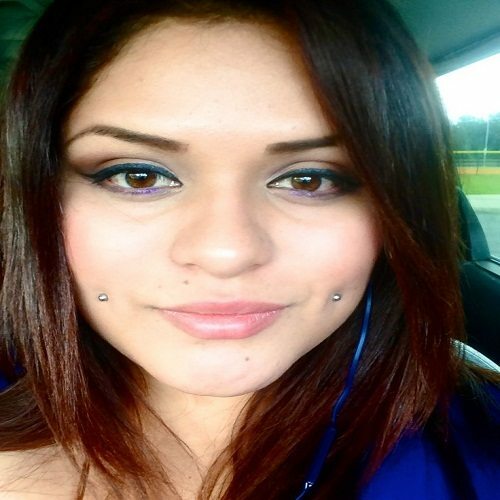 Dimple piercing is one of the prominent types of body piercings because dimple is special that remains as unique identity of a person. When a person smiles and reveal natural dimples, there’s a component of innocence that retains even a person grows older. Dimple piercing jewelry can deliver anyone with youthful appeal ever. Getting a dimple piercing will really be a pleasant experience. It will also heal soon if you follow appropriate aftercare instructions. The common dimple piercing jewelry involves labret stud that measures from twelve to sixteen gauges. Sporting flat disc in your mouth will not result in harm to your teeth or gums as that of lip piercing, but if you already have oral fixation and also cannot resist the desire to rub the discs against your teeth, you really are at threat for a developing issue. If you notice that your gums becoming flattened out or if it bleeds or shows some other symptoms, you probably need to remove the piercing. Dimple piercing jewelry is being provided by the piercer and typically available in package. There are several online retailers that offer excellently designed jewelry to flaunt your dimples thoroughly. Dimple piercing jewelry, which you have chosen to wear, should at least be 16 to 18 mm long. In certain cases, the pierced area may swell, not just because of infection but due to the muscles and tissues underneath. In addition to stud of smaller size, its not suitable to move around while disturbing the healing procedure. Studs of larger size tend to develop huge spaces for the jewel piece to move around easily instead of causing inflammation. When piercing area heals completely, it’s easy to replace the jewelry with same trendy and also fashionable dimple piercing jewelry. 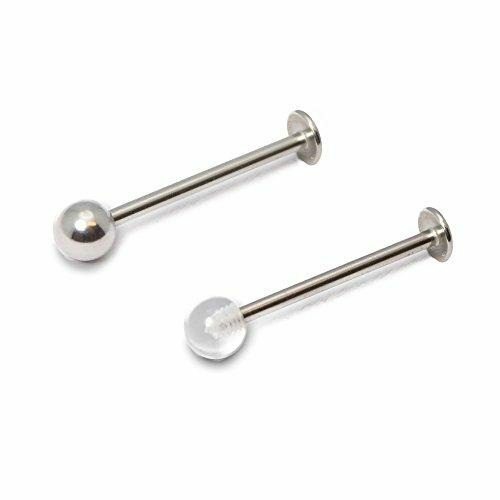 Wear titanium micro labret studs and try to make your look distinct and stylish. These elegant micro labret studs are smaller in size measuring 12mm gauge balls measuring 3mm, which makes it ideal for a subtle as well as simple appeal. 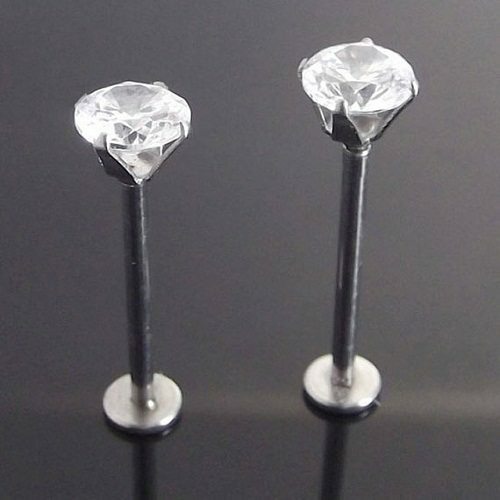 Steel labret studs can adorn by means of bottom base plate with 5mm diameter from which the soft and elegant stem stands. There’s a removable ball at the other end that will be replace. With the help of more numbers of add-ons, horns, jeweled balls, cones and many others. Labret stems consider as a dimple piercing jewelry and lip piercings, but can also wear for ear piercings. You can wear them anywhere you want because they feel highly comfortable and also match the piercing appropriately. This remarkable piece of bioplast threaded stem is skilled to be cut down to your suitable length. The bioplast labret stem is also threaded with threading tool or with thread in your ball. The bioplast dimple piercing jewelry is highly flexible that makes it perfect for facial as well as industrial applications, while facilitating movement to lessen the risk of injury to dimple piercing. You also require an accessory or even a threaded ball for fitting at the end, as the stem is not featured with a ball. It is necessary to assure that you choose the right gauge or thickness for your piercing. As this labret stud is fashioned out of bioplast, it is snug, soft and assists in reducing the remedial time. It also regards exclusively for dentist as well as hospital visits or some other time when you are not able to wear metal jewelry. Obtain a perfect look by featuring in this clear bioflex labret stem dimple piercing jewelry. 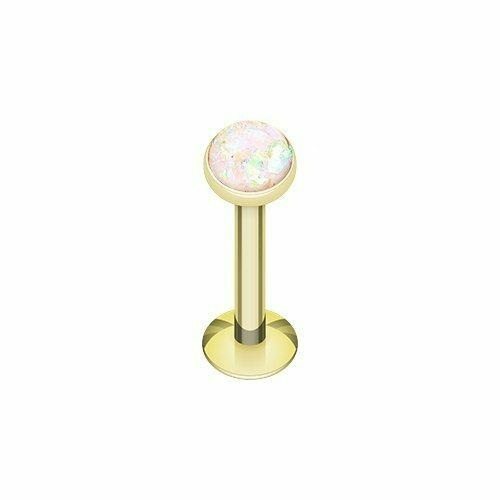 This is also a flexible labret stud that is proposed for use including push-fit accessory containing your favorite swap accessories or also push-fit ball for distinct kind of styles. Bioflex is regarded as the best piercing material. Bioflex autoclaves and steam sterilized also. It is another bio-compatible in order to reduce the chance of allergic reaction to quit completely. This is a dramatic piece of dimple piercing jewelry with bioflex barbells having fixed flat disc on the ends. You can have this piercing jewelry stay in its place with the help of push fit ball. Furthermore, bioflex is adjustable as well. You can simply cut it by using sharp blade. Once the piercing gets cured, the bioflex shaft can be shortened once again. Bioflex material is more flexible and can bed with the body to achieve maximum comfort. If you ever get an opportunity to use this dimple piercing jewelry, you will surely be astonished to find the radiant internally threaded and completed in soft material for protecting the individual’s gums. This is an internally threaded bioplast labret stub that is adorable with a hollow end that works compatible by means of externally threaded accessories as well as balls. With this particular cheek piercing jewelry you don’t have to bother about infection or problems with healing, because this jewelry not just looks good but designed meticulously as well with great quality material. In case you are new to dimple piercing, it is certainly worth considering this exquisite piece of jewelry. Let your facial attribute to instigate others by deciding to feature in this dimple piercing jewelry. Check into the various dimple jewelry options out there and pick the one that can emphasize your natural dimples. If not, create the charm of dimples by having cheek piercing and be a center of attraction in the crows.